Guide the children to work in small groups. 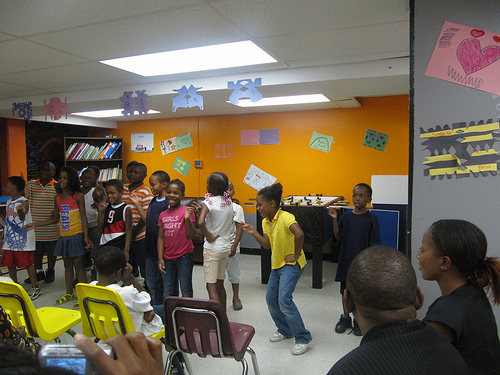 Have them create skits to illustrate ways that children their age can express themselves positively. Encourage them to create skits that model good manners. Encourage them to portray scenes at home, school, church, or the community. Talk with the children and ask them to name individuals with whom they interact in their daily life. For example, they may name a parent or family member, catechist, priest, senior citizen, police officer, bus driver, or friend. Then encourage them to think about and discuss the ways in which that they show respect to that person on the list. End by asking how they show respect for themselves and for God.